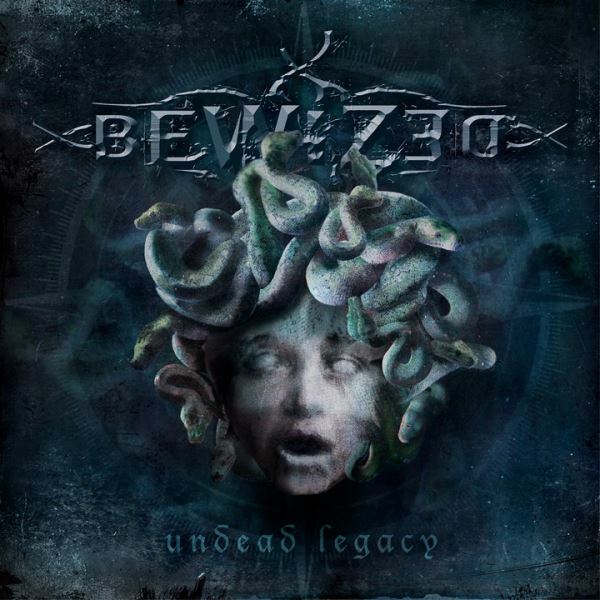 Greek groove metallers BEWIZED released their sophomore album, "Undead Legacy", on October 28 via NoiseHead Records. The CD was recorded at StelthSound/Red House Studios by Stelios "Stelth" Koslidis (HUMAN REJECTION, HEAD CLEANER) and Emmanouil Hermano Tselepis. The mixing and mastering were handled by Jon Howard (THREAT SIGNAL, ARKAEA) at Woodward Avenue Studios in Ontario, Canada. In addition, Howard made a guest appearance on the second track, "Medusa's Head", while Björn "Speed" Strid from SOILWORK contributed his vocals to "Heart Bled Dry". The official "Heart Bled Dry" lyric video can be seen below. According to BEWIZED guitarist/singer/songwriter Paschalis Theotokis, "Undead Legacy" is "constructed on Homer's poems. Homer is the author of the Iliad and the Odyssey, and is revered as the greatest of ancient Greek epic poets. "The album has three main parts; It kicks in with 'War I Wage' (track 1) which is based on the Iliad. The Iliad relates a part of the Trojan War, the siege of Troy. It runs through some songs to meet the second station which is 'The Tempest' (track 5), fully based on the Odyssey. The Odyssey describes Odysseus' rough journey home. The album finishes with the last part of the Odyssey, Odysseus return to Ithaca, slaying of the suitors to find his own peace of mind 'Vindication' (track 11)." BEWIZED released its debut album, "The Scorch of Rage", on April 25 in 2011 via Casket Music. A video for the track "Laceration Of Innocence" was helmed in late 2010 by Bob Katsionis (FIREWIND, NIGHTRAGE, ROTTING CHRIST, SUICIDAL ANGELS).